Congratulations on the International Day of the World’s Indigenous Peoples! XII International Exhibition-Fair “Treasures of the North. Folk Craftsmen and Artists of Russia 2017”. School of Young Leaders 2016 worked in Yuzhno-Sakhalinsk from 5 to 7 December. 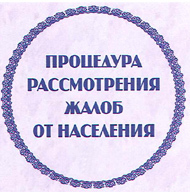 To the attention of the representatives of the Sakhalin indigenous minorities. Implementation of the project of the Val ambulance station. Training Workshop ‘Microloan Programme: Successful Practice, Areas for Improvement and Way Forward’. Development Plan: new management election. Sakhalin students took part in the Vth All-Russian Youth Research and Practice Conference. V.M. Sangi took part in the Conference Current Condition of Literature and Arts of the Peoples of the North. Invitation to Submit Applications under the Social Development Fund Programmes for 2012. "To the Sound of Nivkh Tambourines"
Microloans Programme – first projects have received support! Presentation of SIMDP in Washington, D.C.